Mary Ann and Jerelyn are both dedicated members here at the Y. However, that wasn’t always the case. Jerelyn says that she came to the Y sometimes, but it wasn’t until she joined the Diabetes Prevention Program that she became a regular. “I feel so much better, just by changing my diet and exercise. I can do more with my grandchildren…that’s the biggest part,” says Jerelyn. Both ladies credit their success to the program’s group setting and the support and encouragement they received from other program participants and from the staff. They’ve become “like family” to each other, they say. “She’s my support and I’ll be her support. It means a lot,” says Jerelyn. 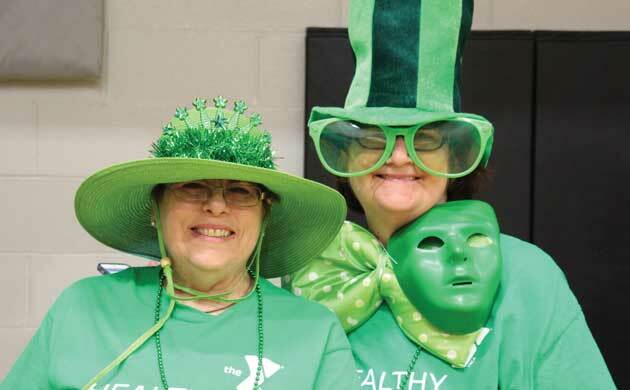 Two years after they’ve completed the Diabetes Prevention Program, they’re still great friends and their success is inspiration for others to take the first step in improving their health. Give to empower people of all ages to lead healthier lives.